(Text automatically translated) Ideal cottage for 6, sleeps 8 people, easy to access, with covered parking, fully equipped: satellite tv, internet broadband connection, refrigerator, microwave, oven, dishwasher, washing machine, central heating, Swedish wood stove, firewood available. Located 100m from the slopes and the baby lift Tzoumaz the field of four valleys (new high-capacity gondola to Verbier). Playground for children, mountain biking, paragliding, indoor pool. 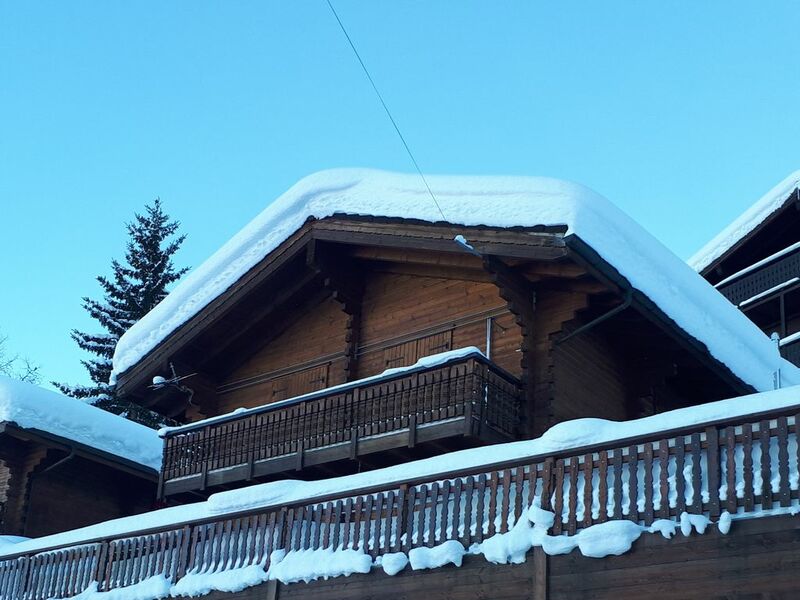 Chalet located on the 4 Valleys ski area with 412 km of slopes. We had a wonderful time in this house. Ski in, ski out was very convenient and the house was very cosy. Chalet tres bien amenagé, très au calme avec une vue panaramique superbe. Très agréable séjour avec une neige très abondante sur un domaine très vaste. Chalet très mignon, bien agencé (en particulier la cuisine !) avec une belle terrasse à la vue superbe. Dejlig hytte med ski in/out hvis man er lidt erfaren skiløber. Det er en super hytte til en fed skiferie i et af verdens bedste ski områder. "Très beau chalet, confortable, très joliment décoré et parfaitement équipé, où l'on se sent comme chez soi,dans un environnement naturel magnifique, offrant de superbes promenades, tout près des pistes de ski ; une station de montagne authentique et protégé"
(Text automatically translated) Tennis and golf Verbier. In the valley known spas (Saillon and Ovronnaz), the largest amusement park in Switzerland (Happyland), cultural tours in Martigny, Sion Verbier, etc..